According to a recent Reuters survey of retailers in the U.S., Asia and Europe, Chinese luxury consumers are spending more on ready-to-wear and new labels, representing a major shift in the behavior of the world’s biggest spenders. The survey found that wealthy Chinese consumers are increasingly traveling alone and are more likely to shop for themselves, rather than purchasing gifts for others, including bosses and spouses of government officials. Two years ago, approximately one third of Chinese luxury purchases were “gifts for favors,” including Rolex watches, Hennessy cognac and Gucci handbags, the survey states. The shift in attitude toward extravagant gifts is tied to a fervent anti-corruption campaign that has hit luxury spending hard in recent years. “With the anti-corruption and anti-extravagance campaigns, more Chinese consumers have stopped buying as many gifts and are buying for themselves,” says Andrew Phipps, head of retail research and consulting for Europe, Middle East and Africa for CBRE. Bain & Company data show 70 percent of luxury purchases made by Chinese consumers happen abroad in major shopping capitals, such as Paris, Milan, London, New York and Tokyo—offering savings of at least 40 percent compared with China, thanks to foreign exchange rates and tax refunds, Phipps says. 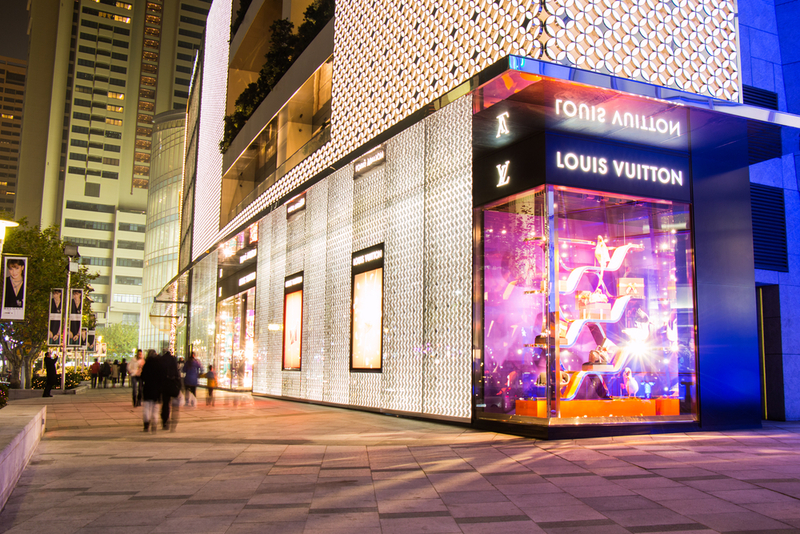 “Chinese consumers have not lost their appetite for luxury goods, but they are looking more likely to purchase them outside of China,” says Phipps. More than a dozen luxury retailers surveyed in Asia, Europe and the U.S. said they had not seen any impact from China’s economic woes this year, according to the Reuters survey. But with Chinese consumers cornering an estimated 30 percent of the luxury retail market, Phipps says there is indeed some cause for concern. Similarly, Louis Vuitton’s parent company, LVMH, said recently it was seeing a slowdown in sales, particularly from Chinese buyers abroad. And while luxury brands overall have been “relatively immune,” that may change with the recent devaluing of the yuan, Phipps says. While consumers who place orders with a daigou are still relatively well off, they typically don’t have the money to travel overseas, and a weaker Chinese currency could cause them to further tighten their purse strings. Time will tell whether China’s economic woes have a lasting impact on the luxury market, but the growing importance of the Chinese consumer cannot be understated, Phipps says.